Curious about careers as a videogame artist? The League of Legends dev breaks down the jobs. 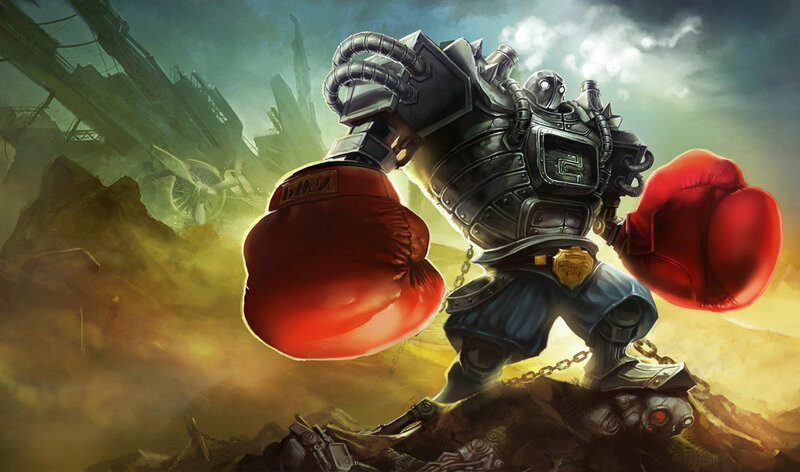 If I wanted to become a videogame artist, Riot Games probably wouldn't be my first choice of instructors, but even if I'm pretty sure this Champion is just Iron Giant with boxing gloves, Riot's 'So You Wanna Make Games' video series is pretty good, offering a basic overview of the various fields aspiring game artists can pursue. The first episode is embedded above, and you can find all the videos in this playlist. They cover everything from VFX and UI design to concept art and animation, running through the basic principles that guide each field (anecdotally, I hear VFX artists are in demand). You won't find anything instructional in the videos, but a glimpse into the processes each artist goes through as they build fireballs and environments and health meters. If you have an interest in creating art for games but don't know where to start, the series, which was posted last month, is worth a watch.